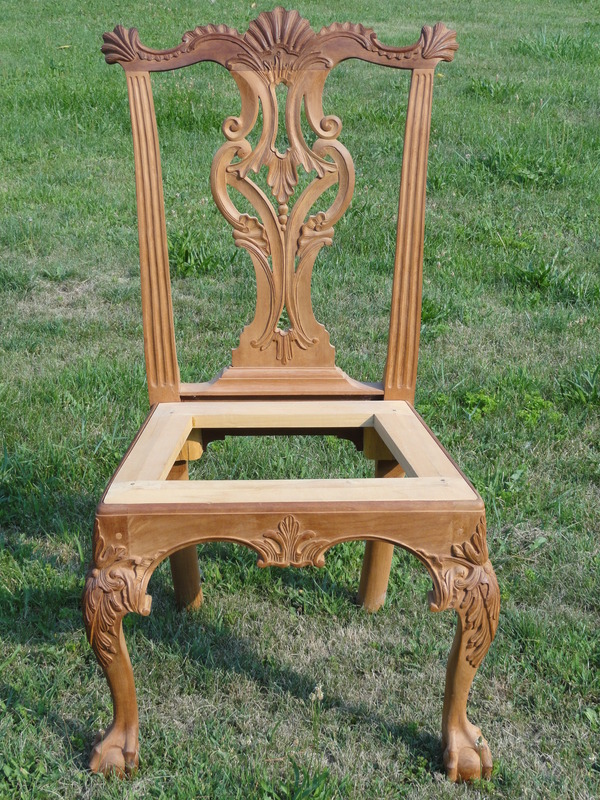 This is a chair I carved and built several years ago that is similar to one currently in the Colonial Williamsburg collection. This chair because of its extensive carving requires considerable time and would represent the more costly of chairs sold in the 18th century. When you first attempt a chippendale chair it can be very intimidating at first. As you begin to challenge yourself, your carving skills will improve. In the 18th century, many of the construction methods were standard. Dimensions for mortises and tenons, board thickness and seating height and depth were generally about the same. One unique aspect of building this chair includes the tenons connecting the seat rails to the back stiles. The tenon goes through the stile and is visible from the rear of the chair. A drawing and photo of this will be posted soon. In addition, the mortise and tenon joints are secured with hide glue and pegs. 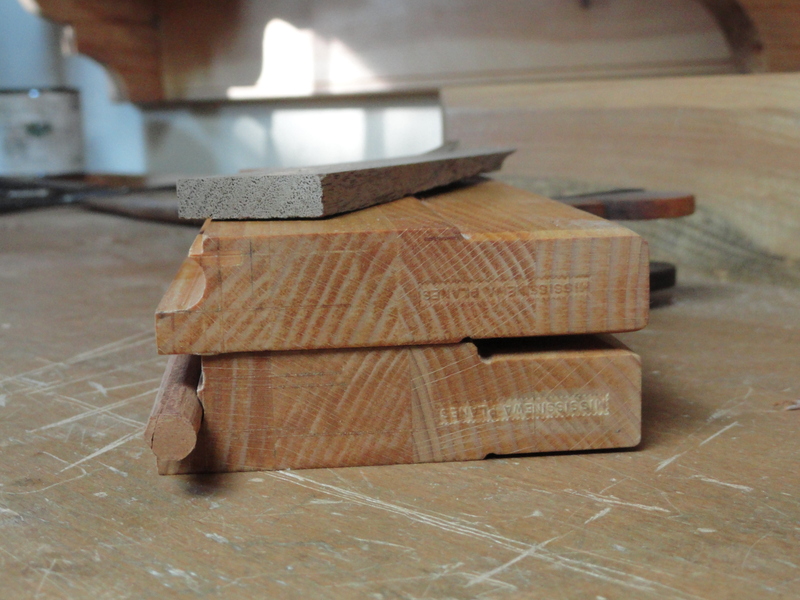 We make our pegs by preparing some flat stock and planing each side with a standard wooden beading plane and either breaking the piece off by hand or using a knife to separate. Below is a picture of a peg made from a beading plane used for assembling this chair.